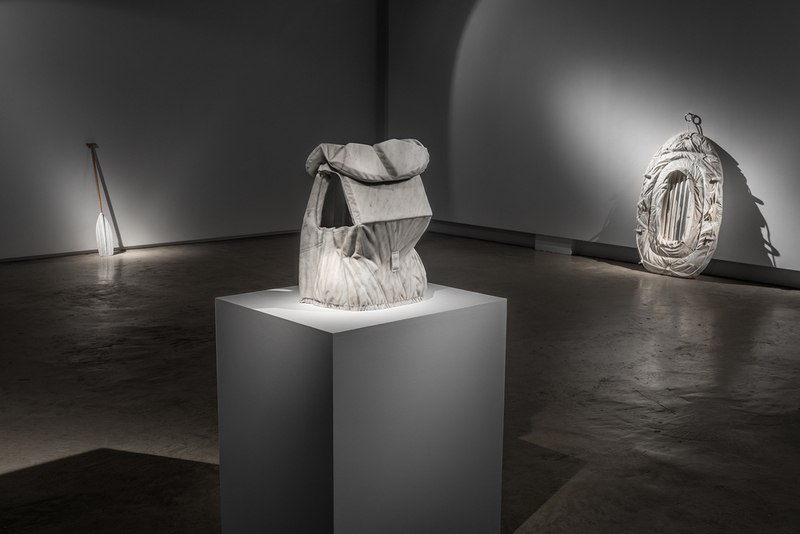 Alex Seton has sculpted items – a lone paddle, a somewhat deflated life raft, three pert (appearing as if as they could be thrown lightly over one’s shoulders) life jackets – that are surprisingly affecting, despite, and possibly because of, being so ordinary. Collectively they bring the stark and undeniable reality of what asylum seeking, by boat, has become in the modern era. The churchlike, reverent atmosphere from an installation such as this, presently showing until the 22nd February 2015 in the Linden Gallery, Victoria, Australia, can only truly be appreciated, of course, by being in the space. However, even the pictures are sufficient to bring the plight of ‘boat people’ to life. Through the objects that save lives, the uncanny sadness of the struggles that have come before and those that await those people, are signified. 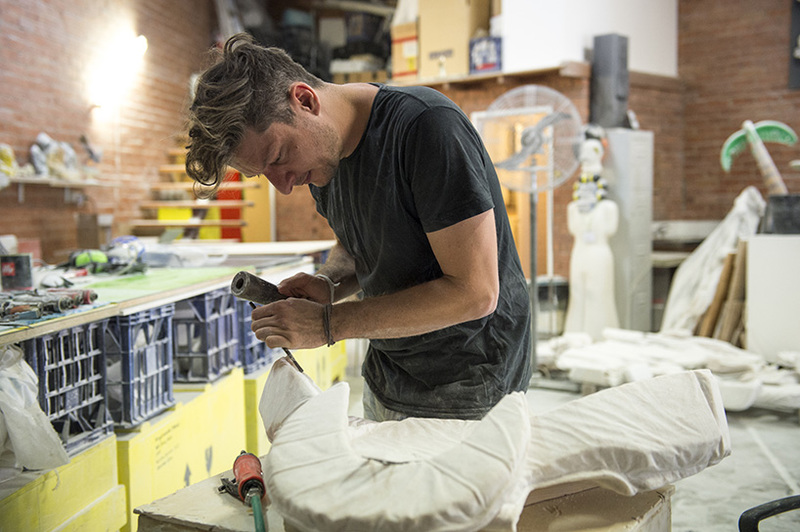 Part of the brilliance of the show is due to the precise execution of the pieces. They are so well made. 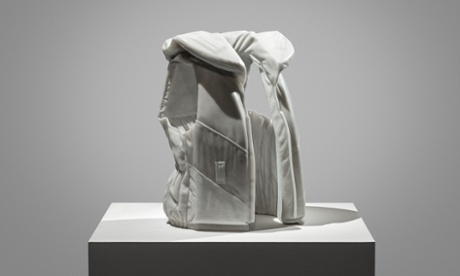 In particular, the life jackets – right down to the very texture of their outer layer – defy being carved out of marble. They look in fact to be constructed from buoyant foam, light enough to keep someone raised to the top of the sea. And it is this, the sight of them, their gravitas, their meagre offer, that signifies the great gaping hole between what could be given to people fleeing persecution, and what is. One of the life jackets.